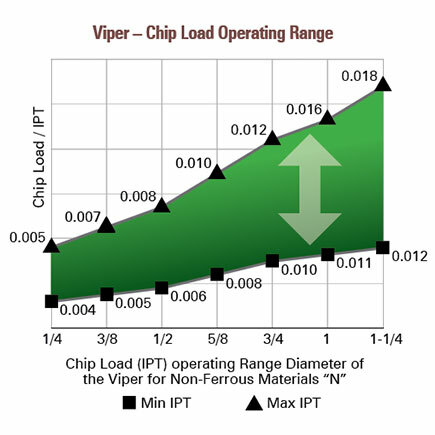 VIPER DVH: 45 Degree Variable Helix – Primarily for high-speed machining of aluminum, plastics, and other non-ferrous materials including brass and bronze alloys. Our Viper DVH series end mills are for both roughing and finishing. 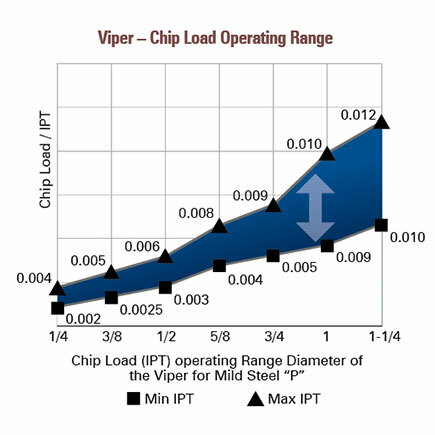 Since not every company has the RPM or need for high Metal Removal Rates (MRR) the Viper is the first tool of choice for aluminum and non-ferrous materials. 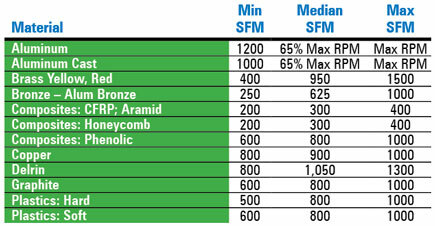 Slotting Straight Entry: Reduce feed by 25% under or at full diameter engagement. Slotting Roll-In Entry: Reduce feed by 25% under or at full diameter engagement. 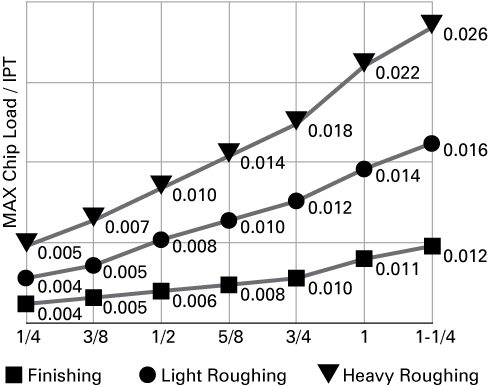 These parameters for the "P" Mild Steel Material Group are ONLY for < 18-20 HRc (,223 - 217 Brinell Hardness). Our Raptor DVH, Raptor 3/6, and Python series end mills are better suited for the "P" Mild Steel Material group, but in a pinch the Viper's work very good here. You can also find this table on Page 27 of our catalog. 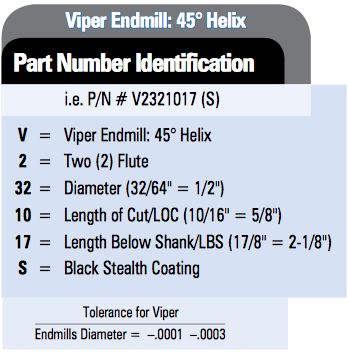 You can read more about common machine problems on our End Mill Troubleshooting page.